I've had some Topshop Make Up before, but never had a chance to purchase their mono eyeshadows. I picked up Painted as I had no red matte eyeshadows, and thought this was perfect! I've read some reviews on Topshop Eyeshadows a while ago, and people seemed to have loved them, so when I got this for Christmas I was eager to see how I worked with it. This red looks stunning in the pot, it's so bright. In some lights too I think it has some slight pink tones to it which can make it look fuchsia. I really liked using this and I'd advise to use primer with this baby. 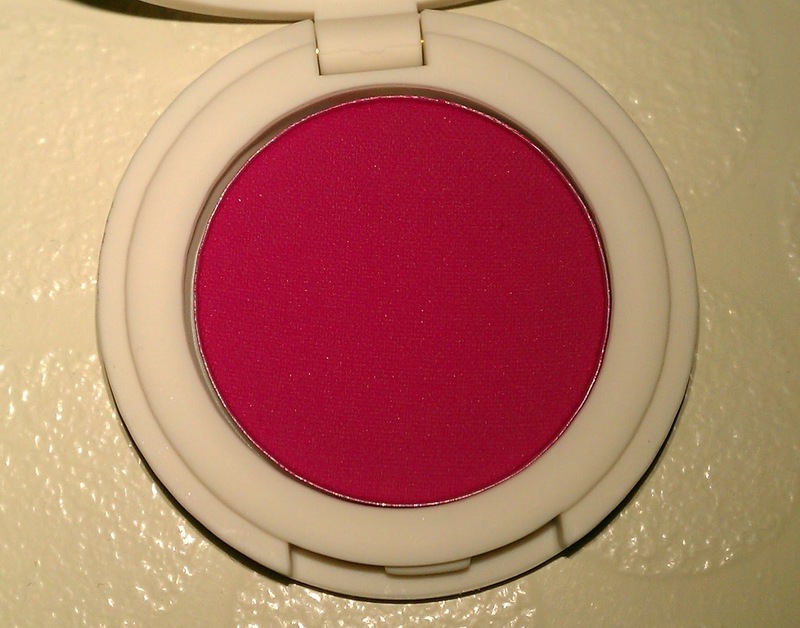 This powder glides on the lids perfectly, and with more layers, this really is bright! I found it a little tough to blend it out the way I wanted, but after a while of trying I do eventually get there. 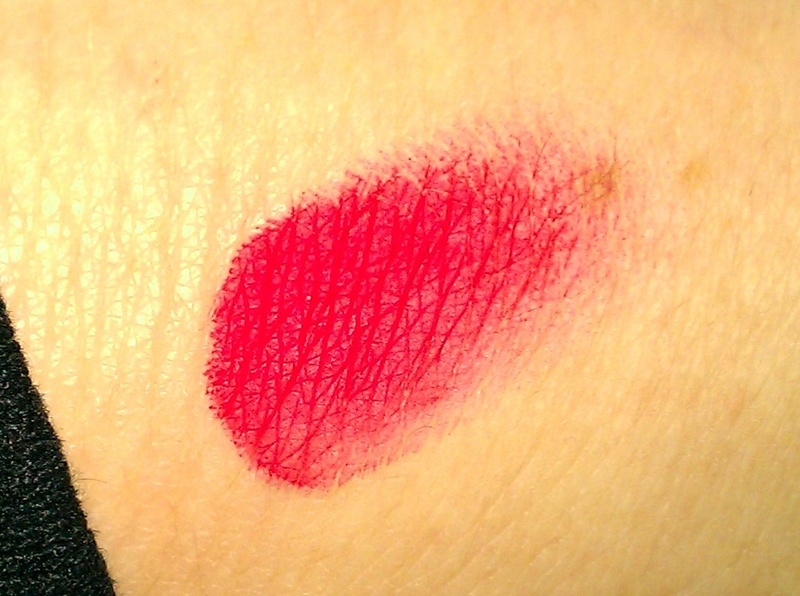 This is a really lovely matte shadow that works a treat. Not the best eyeshadow I've ever used as I felt it was a little chalky, but I felt that the formula to this was very similar to the matte shades Urban Decay do. Overall I needed a red eyeshadow, and this really fit the bill, and I will reach for it every time I want a red. At £6.50 I couldn't camplain! 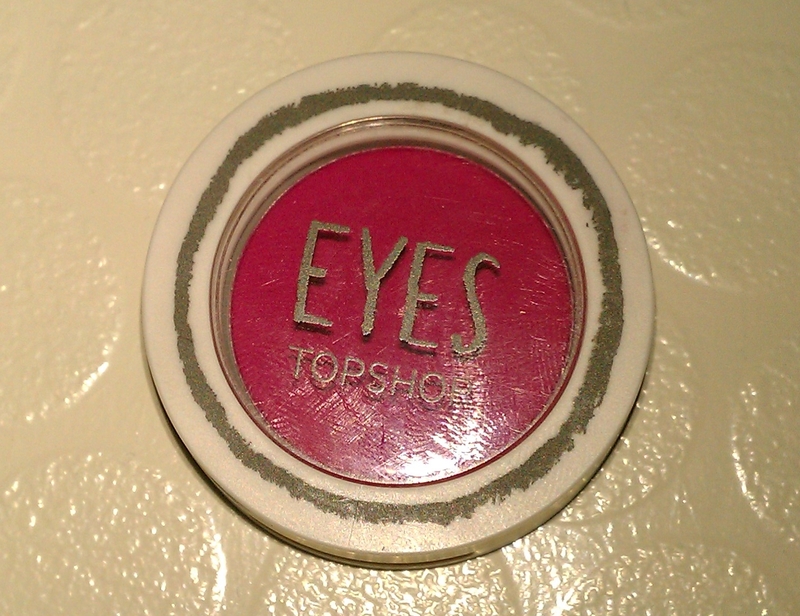 Pick up yours today at a Topshop near you, and let me know what you think of Topshop Eyeshadows!